I'm as bad as Laura! I was under the impression that the pitcher was naked. HEAD FOR THE HILLS! 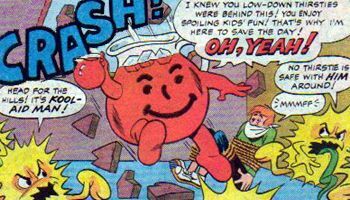 IT"S KOOL_AID MAN! Anyways, 'tis bedtime seeing as i need to be back up in 5.5 hours. Only 16 more hours till I get to see my girl again! !